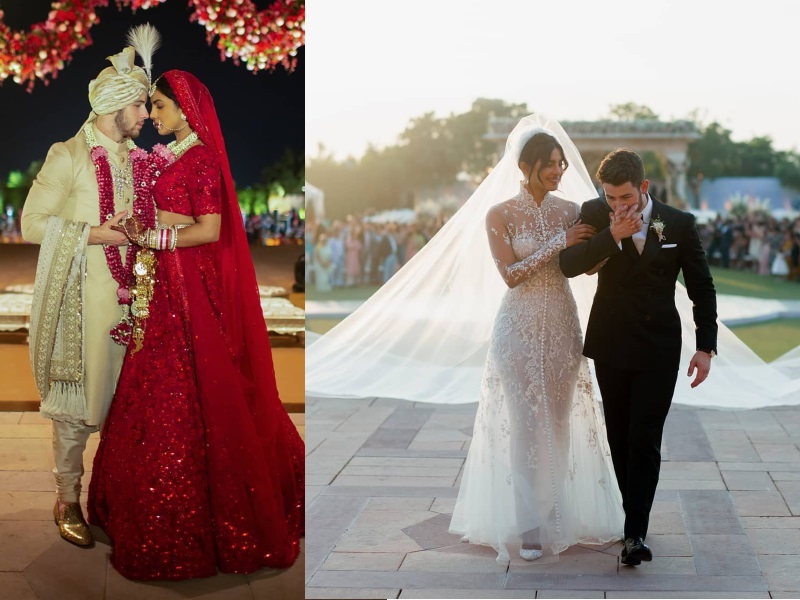 More pics were shared by the newly weds on social media that revealed what they wore to their two weddings. 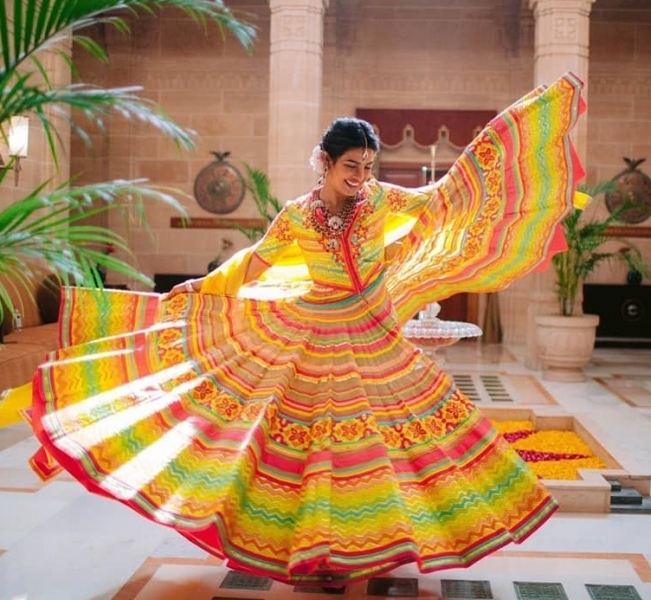 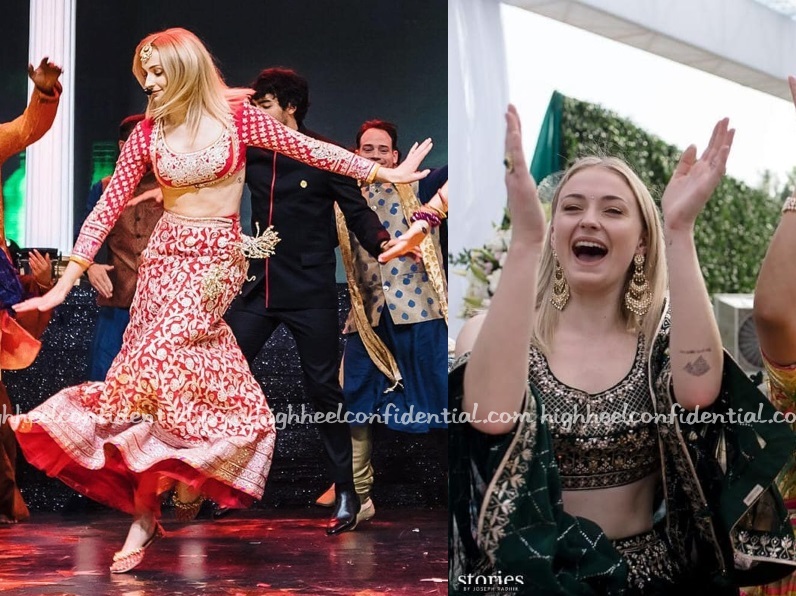 For the Hindu wedding, it was Sabyasachi for both and for the Christian wedding, it was Ralph Lauren. 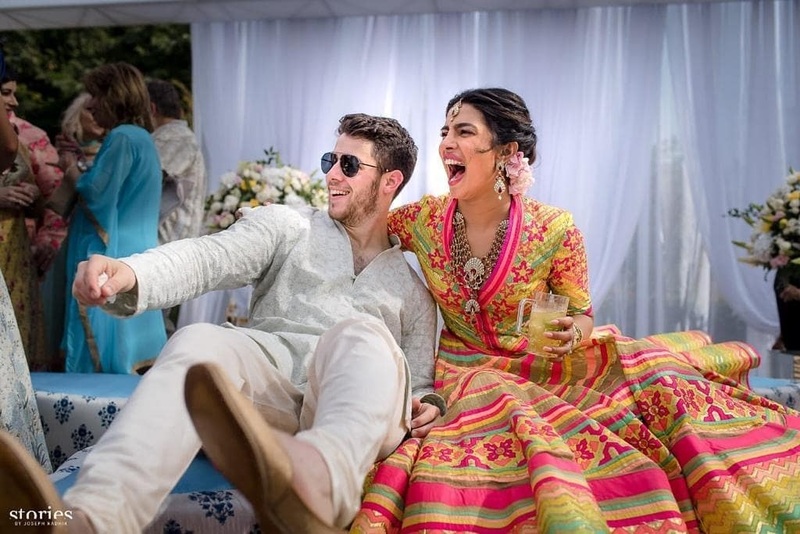 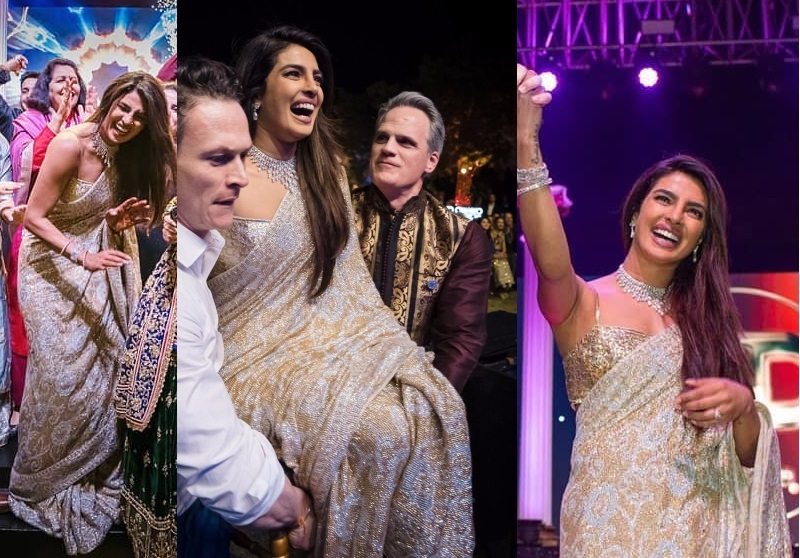 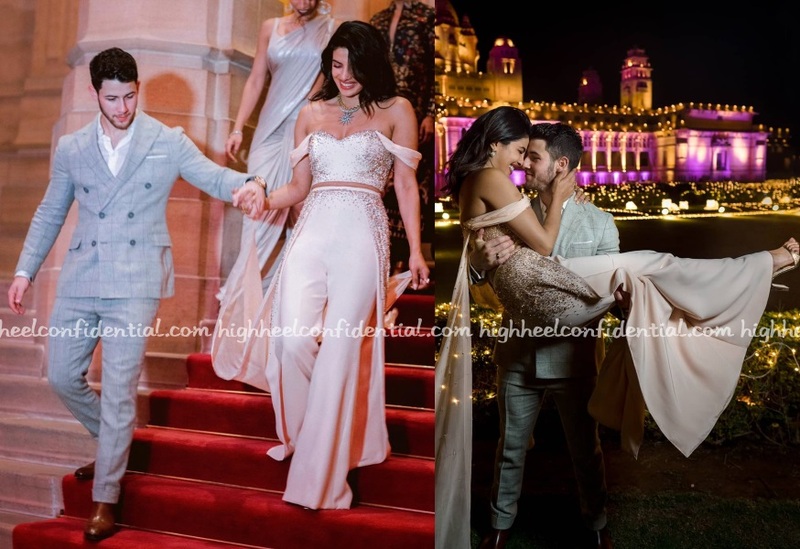 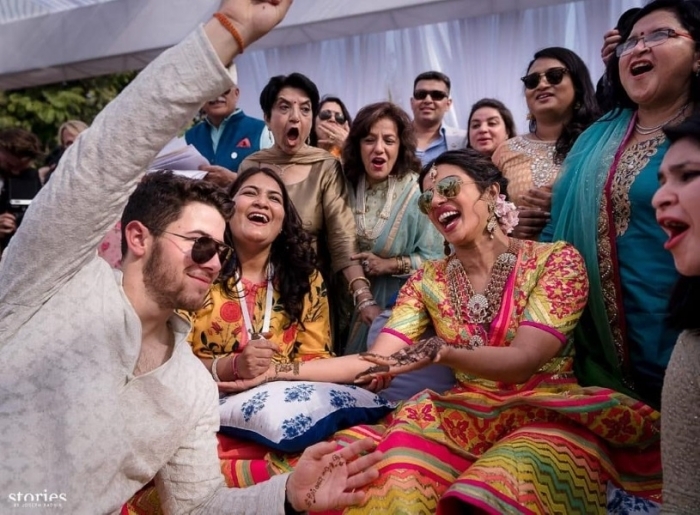 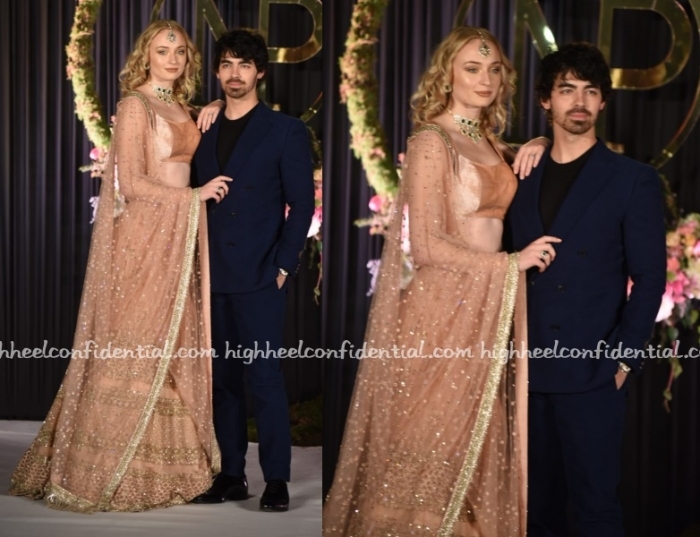 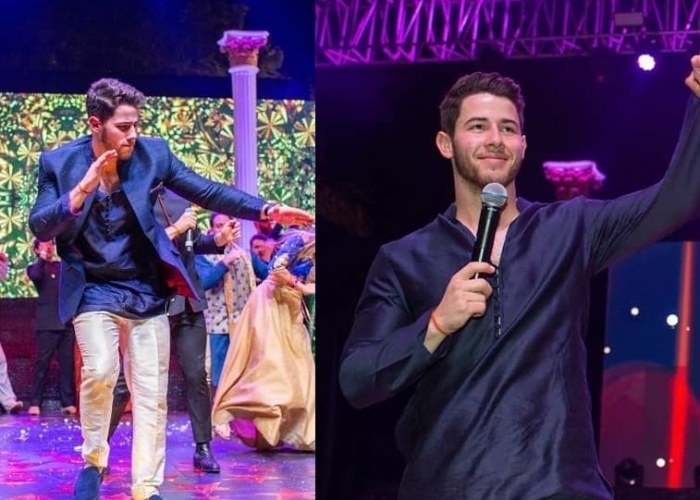 For her sangeet, Priyanka wore a sequin Abu Jani Sandeep Khosla sari with diamond jewellery while Nick opted for a navy kurta and jacket and cream pants.